I have 1 in 12ga. Pull lever down,chamber a cartridge,push lever up to close the breech,flick the auto safety with thumb and you're good to go. it's amazing how quickly this can be done after a bit of practice. Take a bit of getting used to, and a bit fiddly to use with wet/cold hands, mine is a non-auto safe, so if the one your looking at is too? You must remember to push it back onto safe after reloading. I have it on a “Facile Princeps “ A&D shotgun and in my opinion it’s very useful. Only some clays for practice.. The side safety is one of the hallmarks of the Greener guns if you look here https://www.wwgreener.com/ you will see pics of some of the guns that have this feature. 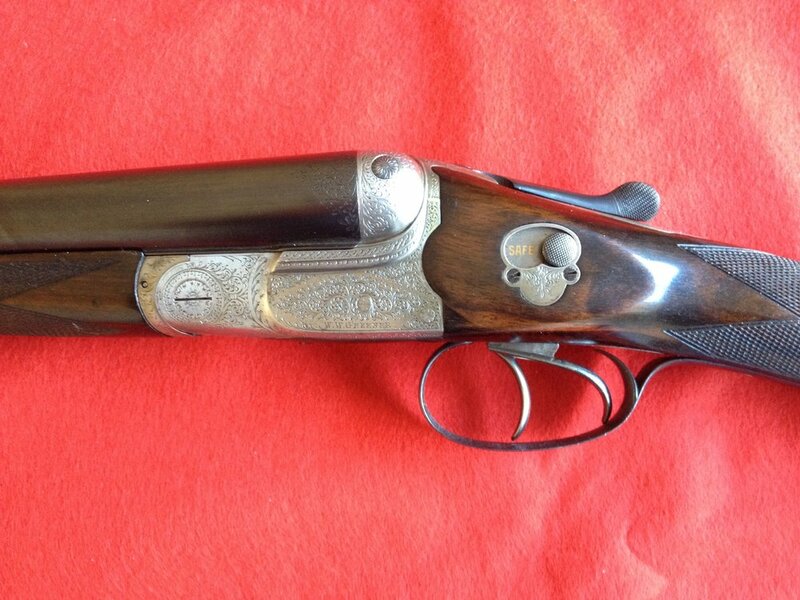 I have only ever owned one of the GP Greeners, i would love to have the money to own one of their side by side guns preferably in 10 bore. I have two, both 12g although one built for game (6 1/2lb) and the other for duck shooting (7 1/2lb). Oddly it is the 'Far Killer' duck gun that is auto safe. Absolutely fine to use as long as there is enough grip to the safety catch otherwise a cold or gloved hand can slide over the top. There were a lot of these that were standard on all Greener Fasil Princip guns that were non auto so it may not be a problem . If it is and you and you want it made auto then any competent gun smith experienced with English guns should be able to make it auto with out any trouble .Not job for the DIY man . Now that is very nice and in my favourite gauge. You are indeed a very lucky man. I bet that is an absolute joy to both own and shoot. That's the Greener Thumb Safety. I have a Damascus boxlock Greener which I use for driven shooting, where it remains off anyway. Great looking gun ,you`ll enjoy just owning that !!! Is it a ‘live’ pigeon gun? A friend has a very similar looking 16 bore which is just that, although I don’t know what make it is.